This series is on how to re-use your empty food jars by turning them into Spring decor! 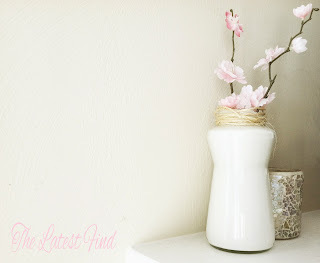 A continuation from THIS post, I'm revealing the "other" jar in the picture! The previous post (link above) was about the Ragu jar, and this post is about the salsa jar (white jar above)! 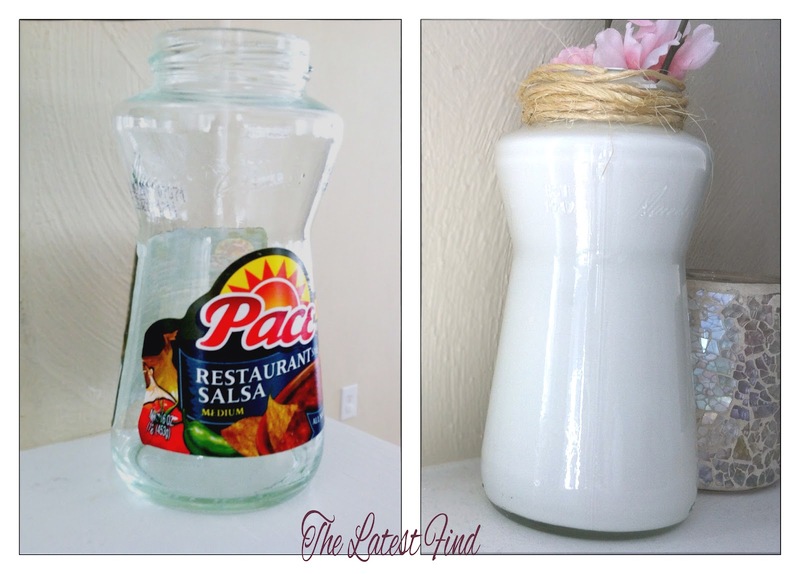 Pace salsa to be exact, if you weren't already able to figure it out from the jar shape! Pace definitely has a trademark jar shape! And here it is on the mantle! After washing/soaking the jar and letting it completely dry, I took the label off (not always easy!) and poured some paint into the jar. I rolled the jar around so that the paint inside would spread all over the inside of the jar, covering all of the glass. Once the inside was covered in paint, I set it upside down to let any remaining paint drip out. I wiped off the top edge to clean it up some. Once the paint is completely dry, I sprayed some finishing spray into the jar, and wrapped some twine around the top! I sealed the twine with hot glue, then added some spring flowers (a Michael's find!). Then it was ready for display! For tips on what kind of paint and finishing spray to use, see this post HERE. 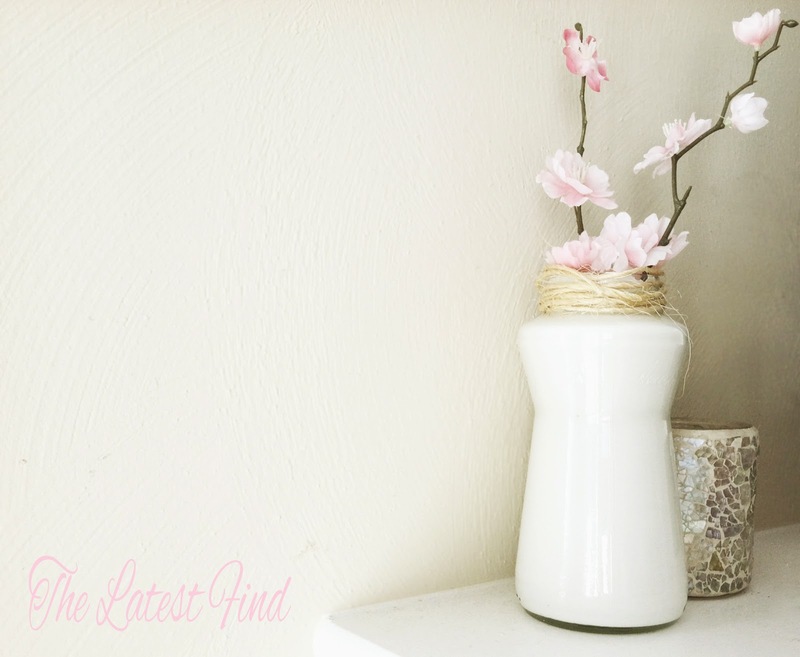 If you missed the last jar re-do posts in this series, check them out! Can you tell we eat a lot of Italian? Pasta is my favorite, by far. 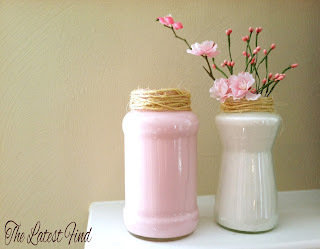 But this project is a great way to upcycle jars that would normally be tossed. And they're super-inexpensive because you already have the jar! I love re-using my food jars. They make the perfect Spring decor. To stay updated on upcoming posts in this series, enter your email below! 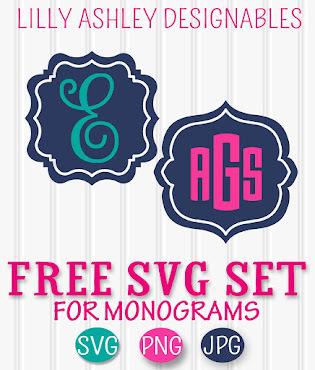 Stay tuned for more freebie downloads from svg cutting files to printables to digital paper packs! 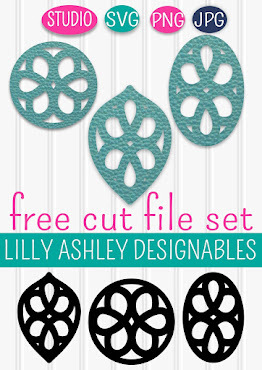 Click the Make it Create banner at the top of the page to see our most recent freebie downloads! Love this idea. The Pace jar looks really nice. We just followed you on Linky & Bloglovin'. We'd appreciate it if you would check out our website and follow back too. ;-) Wanna swap buttons? Oh, I love this! So cute. Perfect! Ive been saving my jars..wasnt really sure why. Last Halloween I made pumpkin candles with them, orange tissue paper and glue on the outside. This is another cute thing to do with them! Thanks!!! Thanks for sharing this at my link party! Oh my goodness this is such a clear and beautiful idea. I can't wait to finish the salsa in the fridge! I followed you over from Sundae Scoop and I would like to invite you to share this, and any other posts, on my link party at www.michellestastycreations.blogspot.com. Have a great weekend. Wow! What a difference! So beautiful and so inexpensive! This is so cool! If you spread peanut butter on the labels and let it sit for a couple hours, the labels and sticky goo will come off easily! The oil in the peanut butter loosens it up. The jars look beautiful and I can't wait to try this! Thank you!